With spring just around the corner we welcome a new intern here at ILS. 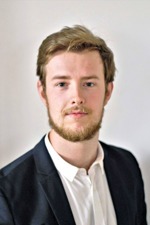 Filip Gunnarsson is a newly examined bachelors economist that has just come home from his education in Germany and will be helping us until June with different aspects regarding marketing and development. We hope that Filip will have a fun and challenging time with us in Degerfors, developing the skills necessary for his future work life and helping ILS grow even more. We have very exciting times ahead of us, so keep an eye on the website for further news that are expected to arrive in time with the spring sun!